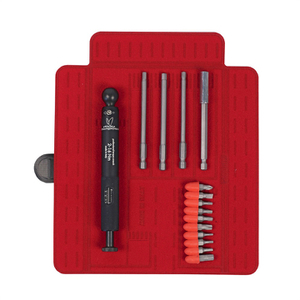 Allowing you to work on your bike at home, the Effetto Giustaforza II Ratchet Torque Wrench - Pro and Bits boasts a ratcheting head for the tightening of bolts where space is limited, whilst the tolerance of 2-16nm stops the stripping of threads and the crushing of delicate components. - L.M. Completed with cycling-specific bits and comes with a practical wrap package. I have done extensive research prior to purchasing this torque wrench. My conclusion was this was the best (although a bit expensive). The built quality is first class with a great feel when in your hand. I took away one star only because the line which shows the torque setting could have been thinner. You need to make sure that it's really lined up correctly and this requires reading glasses (age does not help). Other than that, fantastic product. The range is exactly what you would need on a carbon road bike. You can torque everything except the cassette and bottom bracket and perhaps the disk brake rotors if they have the single screw system (Shimano). On the other hand, a torque wrench which has a wide range (ie Topeak 4-80Nm), will it be that accurate over the whole range? Terrific addition to my home bike maintenance shop - no more worrying about applying too much force. Build quality is first-rate! Excellent build quality with accurate torque settings and well packaged. Purchased the deluxe Efetto Mariposa torque wrench about 12 months ago and it has been a fabulous edition to my tool kit. Able to make adjustments and complete maintenance on my bikes with complete confidence that I have the best tool possible for those delicate carbon components. Superb craftsmanship with all the bits you will need contained in a user friendly compact roll kit. Yes, this is an expensive piece of kit but if you like high end this is a must. Highly recommended!! 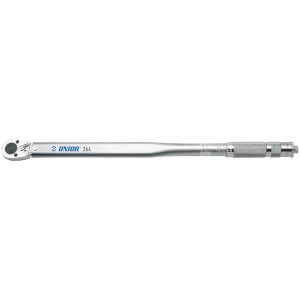 This is the best torque wrench in the market. I have 3 of them from different brands but this is the best of them all. Very easy to use, smooth and precise. This is an excellent if expensive bit of kit. If you are using it regularly it is well worth the money. For the occasional use I would go for the cheaper model. I can't vouch for its accuracy as I have never put it to test. Beautiful handling and great ratchet make this tool a pleasure to use. The range of bits is very good and should cope with most applications and because you have the ¼ drive attachment you can use any socket/driver in that size range. If you have the money buy it you won't be sorry. I think it is such a beautiful tool I could change it on my wall as art! but then that would be insulting to an accomplished piece of engineering. Happy buying!! Haven't used the wrench yet (just received it 10 minutes ago) but wanted to comment on the excellent transaction, as some other reviews gave me pause. I ordered on December 12, received an immediate confirmation and then a notification of dispatch the next day. Package delivered on December 28, well within the promised timeframe and quite quick considering the Xmas holiday period and distance to my location (Canada). Delivery was free, no duty or taxes were charged at any point and the price was the lowest I found online. So two thumbs up from me. Thanks ProBikeKit!